After watching bees for hours to see how they travel in an almond orchard, researchers found that having native or wild bees present in combination with managed honeybees increases pollination. This concept of integrated crop pollination — or ICP — was one of many research projects presented to beekeepers at the 40th annual Western Apicultural Society conference at the UC Davis. Bernardo Niño, staff research associate in the UCD Entomology and Nematology Department, described the Varroa mite as “the No. 1 pest of honeybees” for commercial beekeepers in California. 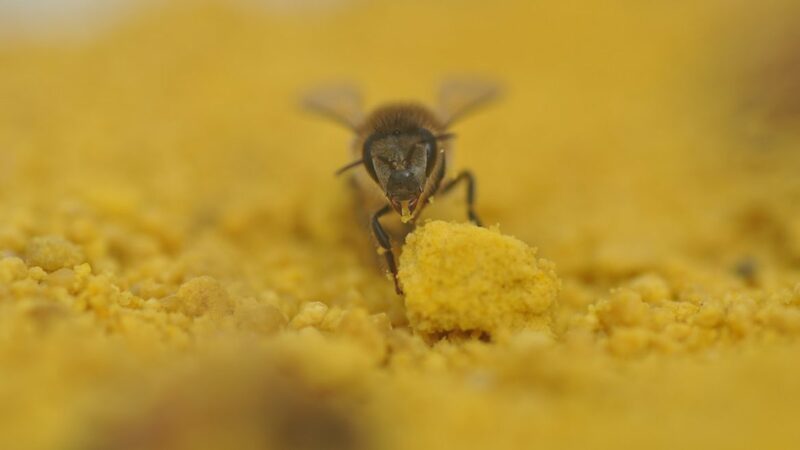 DDBJ released genome data of honeybee mite (Varroa destructor) which had been submitted by Okinawa Institute of Science and Technology Graduate University. The accession numbers are as follows. They are available on getentry. Honeybees are making a comeback. The two hives I monitor produced enough honey this summer to fill a dozen quart jars. Professional beekeepers in the region, who gather much more honey that that, smile politely at my modest harvest. A few years ago, though, they were not smiling, because of an invasive parasite known as the varroa mite. Only this time, on the very same day that Nature published Gemma Baron’s team’s study, it also published a study by Dara Stanley, also teamed with Nigel Raine. More prosaically titled, ‘Bumblebee colony development following chronic exposure to field-realistic levels of the neonicotinoid pesticide thiamethoxam under laboratory conditions,’ this study subjected different groups of mature Bombus terrestris colonies to two different neonic exposure levels—2.4 ppb and 10 ppb—or up to 27 days. The study didn’t benefit from advance press advisories—and predictably, unlike its sister study, it was not heavily promoted by Guelph and received no press attention. And that include varroa mites, a parasite in the tick family which causes the bees to have many different issues including weakened wings. According to the New York State Beekeeper tech team, 90% of hives tested across the state have these mites present. The U.S. Department of Agriculture (USDA) released a positive report on honey bee colonies this past spring. The number of commercial U.S. honey bee colonies was 2.89 million as of April 1–3% more colonies than during the same time frame in 2016. The total number of honey bee colonies lost was also lower in 2017. The number of colonies lost from April through June 2017 was 226,000 colonies, or 8%, compared to 330,000 colonies lost, or 12%, in 2016. Glass said those imported bee populations attract diseases and mites, and death rates in some areas can be up to 75 per cent. …Beekeepers from Marion and adjacent counties were able to take advantage of this free service. In conjunction with the equipment cleaning, the Washington County Beekeepers and guests completed training in a new method of controlling varroa mites, a significant parasitic health threat to bee colonies.